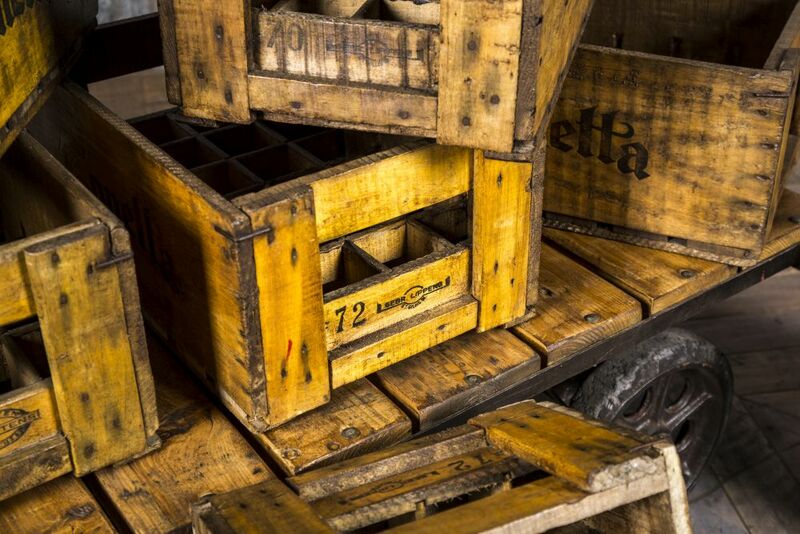 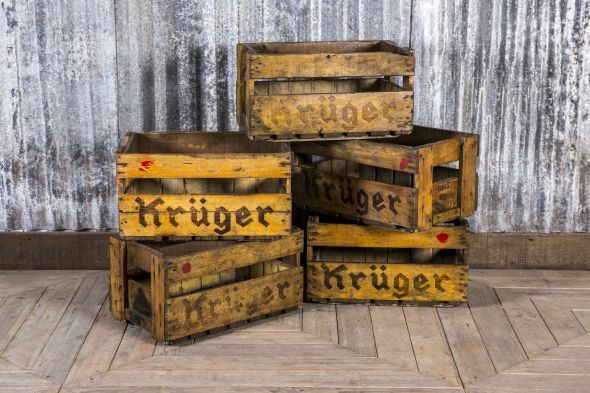 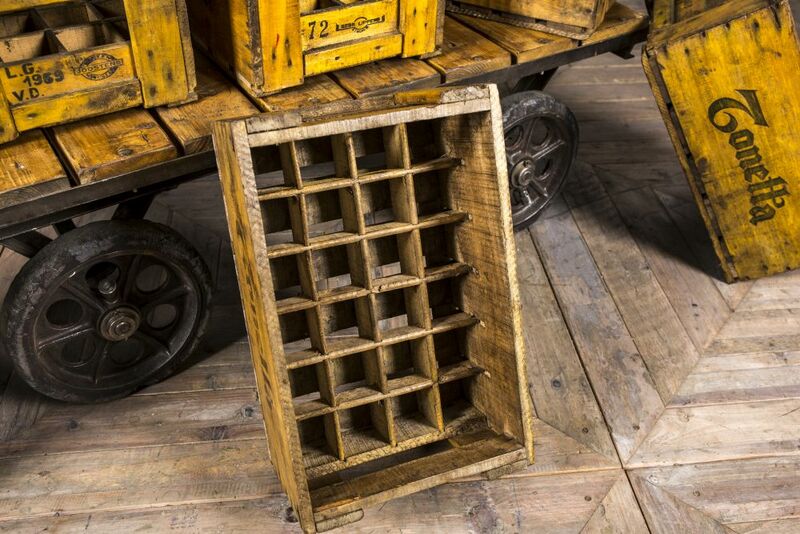 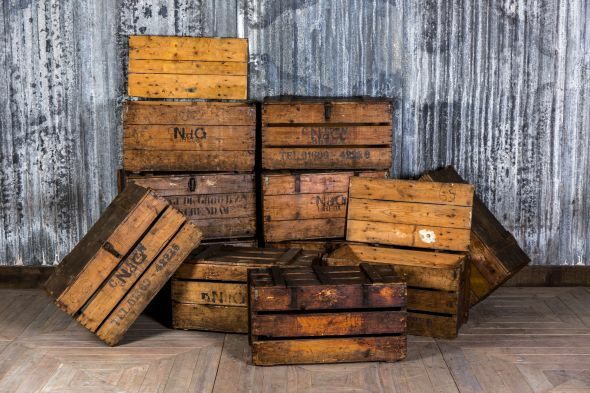 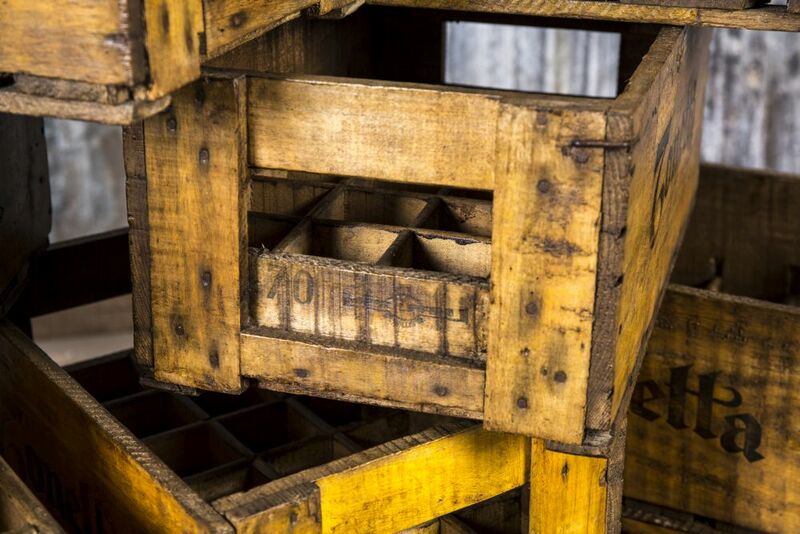 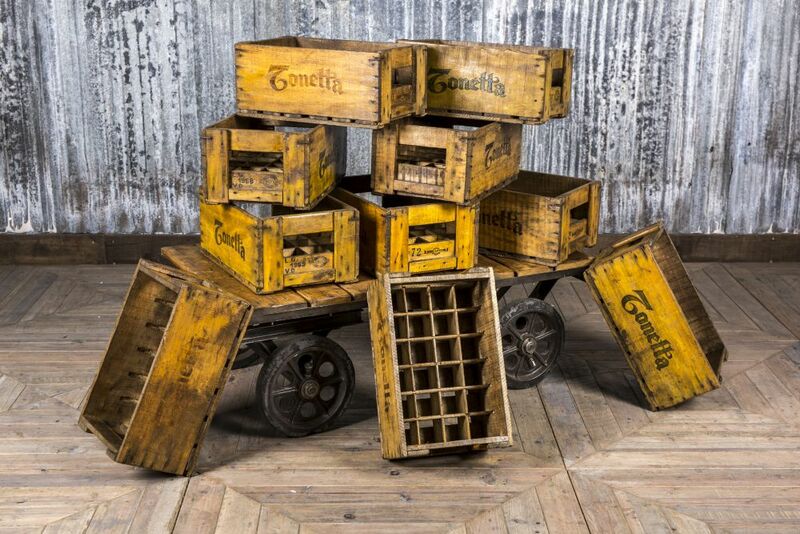 A bottle crate is a great accessory for any vintage style interior – these would look best in a pub or bar! 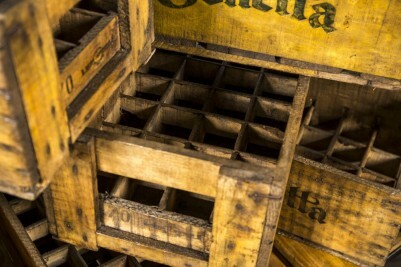 You could stack these crates as a feature or use them individually; they would be ideal for displaying drinks and bar snacks. Inside, the crates are divided into 24. They could be useful for dividing cutlery and condiments in food establishments where customers have to collect their own. 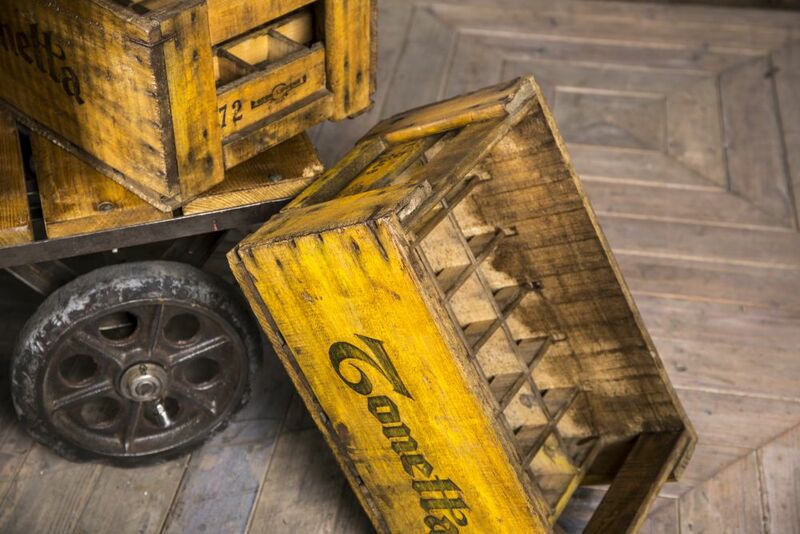 The crates are wooden and painted yellow. 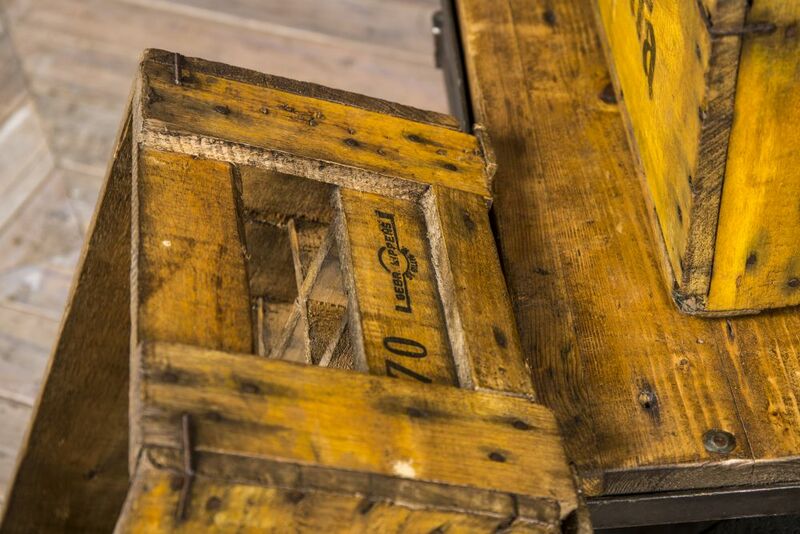 Over the years they have acquired a distressed finish that adds to their industrial appearance. 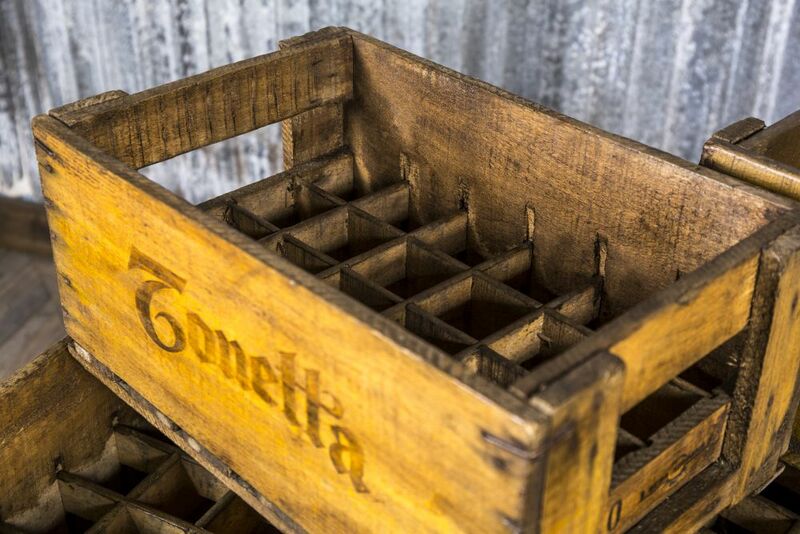 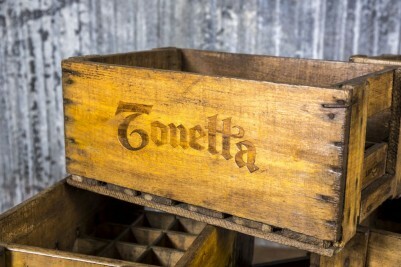 Printed on each crate is ‘Tonetta’. The crates are original vintage items so will show signs of age; however, we feel that this only enhances their character. 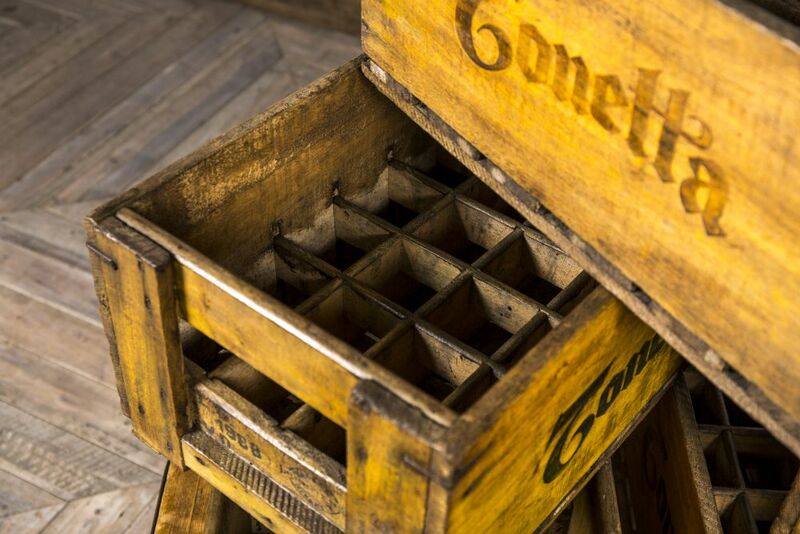 Please note that the price is for one bottle crate only, but there are more available to purchase.